Earlier this year, James Keehbler and Maureen Donohue of Piscataway Public Library and the Public Policy Committee of the New Jersey Library Association (NJLA) and I collaborated on a critical project for our organizations. 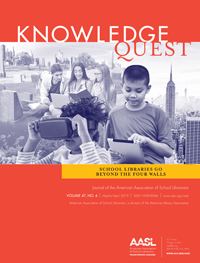 The New Jersey Association of School Librarians (NJASL) and NJLA completed a statewide census and survey of school librarians throughout the state. 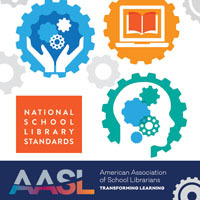 NJASL has pondered for years on what we imagined was happening in our state concerning school library media specialists (SLMS) but we lacked hard data, and basing our perspective on just speculation made advocacy efforts challenging. In New Jersey, only a single SLMS is required per district, and anecdotal evidence suggested that the economic downturn in 2008 hit school library programs in the state particularly hard. The SLMS census later revealed that many districts in NJ did not in fact have even a single SLMS. This census has always been important to NJASL, but it became even more critical with the enactment of President Obama’s Every Student Succeeds Act (ESSA) in December of 2015. As we know, the states and local districts determine how the legislation will be implemented, and therefore state level advocacy is the next critical next step with a relatively short timeframe. Two years ago NJASL found that New Jersey no longer maintains data on how many SLMS are working in New Jersey schools. We tried to contact SLMSs by sending a letter to every school in the state, but the response rate was disappointing. In many cases, there was no response because there was no one in the position to receive the letter, or the SLMS just didn’t have the time. Our next effort was to send a survey to our own members and while some people answered, we did not get enough complete answers for a reliable sampling. The NJLA president James Keehbler and I as the NJASL president collaborated to see if we could improve our data collection and build a foundation for future advocacy collaboration. To create useful data for advocacy, we believed that we needed to get information from SLMSs in urban, suburban, and rural areas across the entire state that included both members and non-members. 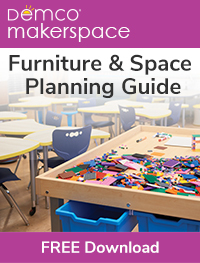 NJLA and public libraries could help as they operate in these communities on a daily basis. We worked together to increase the range of the census. Starting from a list of all public schools from the New Jersey Department of Education, Maureen and James began working through communicating with and researching the 2,543 schools. When notified of a challenging district, I was able to make personal phone calls to people to fill in some of the blanks. Verifying our findings with National Center for Education Statistics Database (http://nces.ed.gov/ccd/districtsearch/index.asp) 2013-2014 School Year data, accounting for changes since report data. We determined it would be necessary to follow up with a survey to determine the current situation for New Jersey SLMSs beyond just a current number of positions. From previous experience, we were aware many people don’t want to talk for a number of reasons, including a fear of retaliation and job loss. As a result, we were determined to to be extremely careful with the structure and execution of the survey. No personal identifiers were used. No emails, names, or school information data were required. The NJASL Board was also asked to review the questions in order to make sure we were collecting the data we needed. We chose SurveyMonkey to distribute the survey and sent a total of three reminders. SurveyMonkey allowed us to restrict responses to one per email address, helping to avoid double-reporting issues of an open, unrestricted survey. We also encouraged people to respond through our networks. For example, New Jersey has active county groups of SLMSs who are extremely effective at getting the word out and reaching their members in ways that NJASL sometimes cannot. In the end, the response rate was very strong. In addition, we received many responses of grateful SLMSs hopeful about looking forward to the advocacy that will follow. We collected over 600 responses in six weeks. The results were compelling. There are a reported 20% fewer SLMS positions than in 2007/2008, with the employment rate even lower in urban areas where less than one in two urban schools has an SLMS. Many SLMSs are responsible for a wide range of “non-library” tasks, which restricts their time to work on “school library work,” and are working with budgets that are described as flat at best, but in many cases are reduced or completely eliminated. Our resulting report was not written to reflect bad news, but to show the opportunity to improve student outcomes if we reinvest in NJ’s school libraries. To that end, we felt it was important to intersperse citations for recent research about the positive impact of effective school library programs among the reported statistics. These citations are tools for future advocacy, serving as context for why people should care about the numbers in the report. We hope our work can help us advocate for school libraries in New Jersey in the wake of the passage of ESSA, but that they can also be utilized and improved upon by other state library associations. The report is available here: http://njla.org/content/njschoollibraryreport. We have included the survey questions in the report, as well as relevant research, ESSA citations, and an advocacy strategy for moving forward in New Jersey. Leslie Preddy, Megan Cusick, Sylvia Norton, and Marci Merola have reached out to us to share our project with you, hoping that it might help you in your efforts in ways that we have not been able to imagine to realize the true status of our profession. James, Maureen and I welcome any questions you may have.